A city announces tax subsidies to attract companies that employ highly skilled workers, while cutting funds that support summer employment programs targeted at low-income youth. Police rigorously enforce statutes against public drinking in some areas of the city, but hardly at all in others. Public schools are closed in some neighborhoods, while increased funds go to schools in other parts of the city. Many children and families experience a different urban reality: poverty, hunger, substandard housing, crime, and under-resourced schools and communities. While young professionals are drawn to cities for their career opportunities, many urban youth and longtime city dwellers confront limited job prospects and employment instability. Parents struggle to find jobs with steady hours and wages that adequately support their families. Against this backdrop, some children and families find ways to thrive, but too often against the odds. Educators and researchers question the ever-prevalent school-to-prison pipeline, city leaders face segregated schools situated in segregated neighborhoods, and children do their best to cope as their parents struggle to find stable housing and employment. At SSA, our educational research looks beyond the notion of a “magic bullet” that will transform schools and instead searches for ways to bring together evidence, communication, distributed leadership, and an ethic of care to improve student outcomes, teacher practices, and school communities. Detouring youth from urban violence, protecting children from potential abuse, or keeping students in school is far better than trying to rebuild lives scarred by violence, maltreatment, or a failed education. That’s how prevention research can offer proof, new hope, and innovative strategies in tackling the evolving challenges facing urban residents. And while nearly every community must cope, to some extent, with such problems as violence, drug use, educational inequality, and family stress, these issues are often exacerbated in urban contexts. The most vulnerable residents of cities often struggle to access the different benefits and sources and nonprofit organizations provide. It is a perennial challenge of social work and related fields to more seamlessly connect the different "silos" of the soical safety net—a complex web of government programs designed to stabilize our most vulnerable and help them to thrive—so that individuals and families can spend more time capitalizing on those resources, and less time hunting to find them. A group of SSA faculty examines the effects of crime control on contemporary city life. In the United States, arrest and incarceration rates have reached historically high levels, while police-community relations have deteriorated. Policies and practices shaping urban life often run counter to their stated intentions of promoting safety, justice, and protection. This criminal justice work displays how strategies to reduce crime not only impact individuals interacting with the criminal justice system, but also shape how their families and community members experience city life. Globalization has made our world smaller, faster paced, and more connected. Consider such basic concerns in the social work profession as poverty and inequality, immigration, health disparities, or urban violence. The speed and scale of rapid urbanization sound a wake-up call about these social challenges. These are concerns that affect the human condition and have no borders. They all have global influences and repercussions. Serving as SSA's Interim Dean is a great honor and provides a unique opportunity to view the School’s immediate and long-term impact from a variety of perspectives. It’s also a chance to observe how SSA continues to evolve to be responsive and innovative in using research toward solving society’s most challenging problems. Urban universities across the country recently have witnessed an outpouring of interest in deploying the insights of scholarship to improve life in cities. The University of Chicago, supported by a major gift that last year established the Mansueto Institute for Urban Innovation, is pursuing a leadership role in this emerging domain. 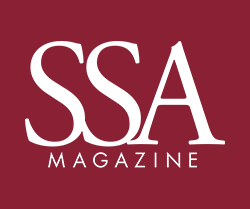 We at SSA herald this development, for we are heirs to a more than century-long legacy of urban engagement at the intersection of scholarship and impact.